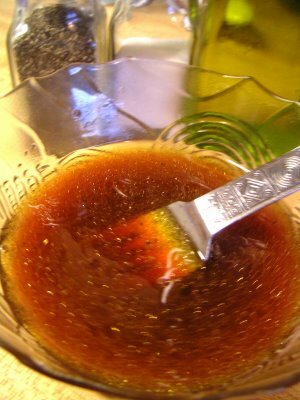 Mix dressing ingredients in a bowl or jar. Mix salad ingredients in a large bowl. 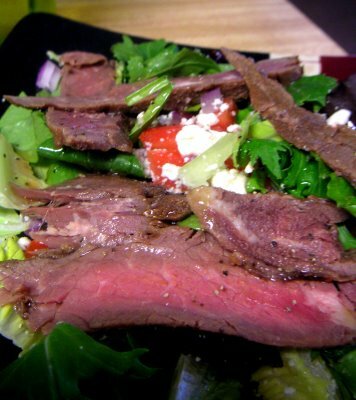 Plate the salad, top with steak slices. Drizzle liberally with dressing, season with salt and pepper.